ART X Lagos 2018 is proving to be an event we won’t be forgetting anytime soon. While some questioned Odunsi’s capacity as a curator for the art show, the recently released four-track piece of live recorded music from ART X Live, will serve as a testament to naysayers. The biggest validation for the “Sonic Archives” is that Odunsi’s ‘rare.’ album is a creative marker for this nostalgia-doused era in Nigerian music. Odunsi’s vision for the “Sonic Archives”, was channelled through Teni the Entertainer, Amaa Rae and BOJ, with live performances of classic records from African pop legends. Now fans who missed the show can hear the result of the Odunsi-led creative direction on this 4-track compilation tape released on SoundCloud. Though Odunsi’s presence is only felt in the production credits to his Odunsi the Engine producer tag, his distinct production, interpolating traditional African samples and retro pop influences, creates some context for ART X LIVE! 2018′. The 4-track piece is a comprehensive catalogue of covers, interpretations, and reinventions of classic African hits, starting with Teni the Entertainer’s cover of Christy Essien Igbokwe’s “Seun Rere”. 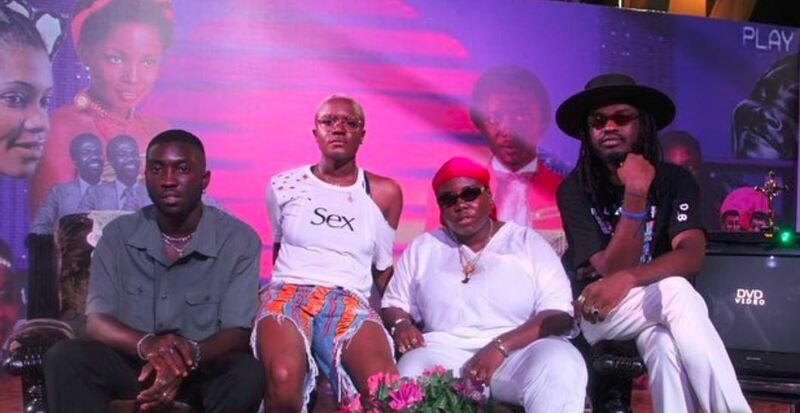 For her own ART X Live rendition, Teni re-purposed the passion and pain of the melancholic folk ballad into a tribute song for her own mother. The second track, “Let It Flow” by Amaa Rae is the only original track on the “Sonic Archives”, explaining in a NATIVE interview, Amaa told us: “I took lyrics from one of my pre-existing songs and wrote a whole new hook around it”. But you wouldn’t guess that from the Odunsi-produced retro bounce and percussion harmony. BOJ also impresses with “Shako Mo”, a cover of the Remedies’ 1998 cult classic. The mere choice to cover a song which many critics reference as the start of contemporary pop music in Nigeria shows class, but its the smooth blend of an era forgone and BOJ’s vocal performance that makes for goosebump-inducing music. The final track, “Ahomka Womu” covered by Amaa Rae, honours Ghanaian music’s influence on Nigerian pop culture as she performs the cover for the VIP hit single. Her key changes and the few lyrical adjustments give the song a more shrewd narrative which makes her interspersed mix of Twi and English near-poetic. She relies on the exquisite instrumental arrangement and her falsetto to carry the day, singing barely over a whisper along to the catchy melody of the original track—a reminder of soulful melodies and simpler times. You can stream ‘Art X Live! 2018’ below.